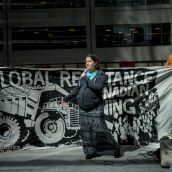 All photos by Allan Lissner unless otherwise stated. 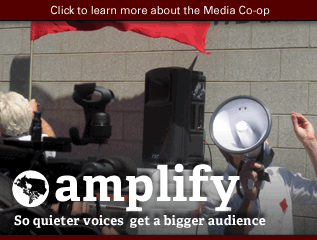 Click on any photo to launch slideshow and to see captions. 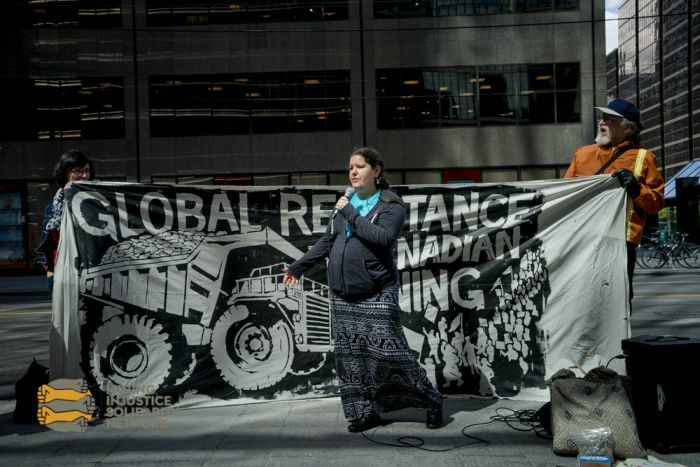 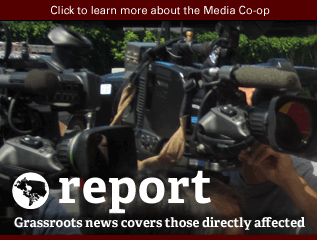 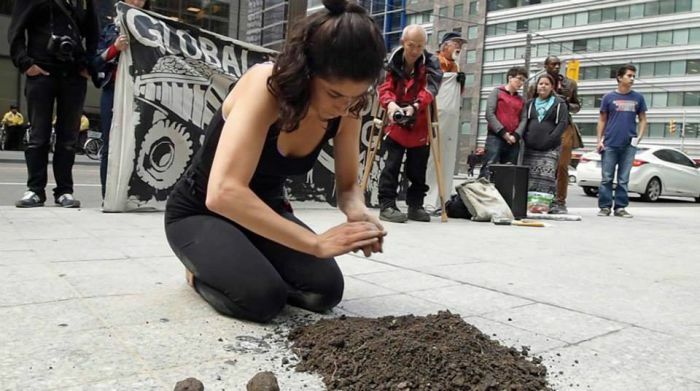 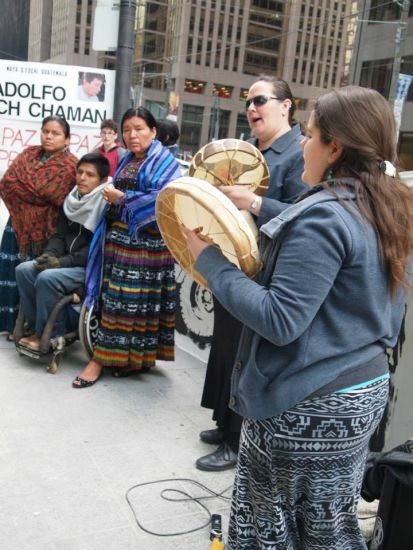 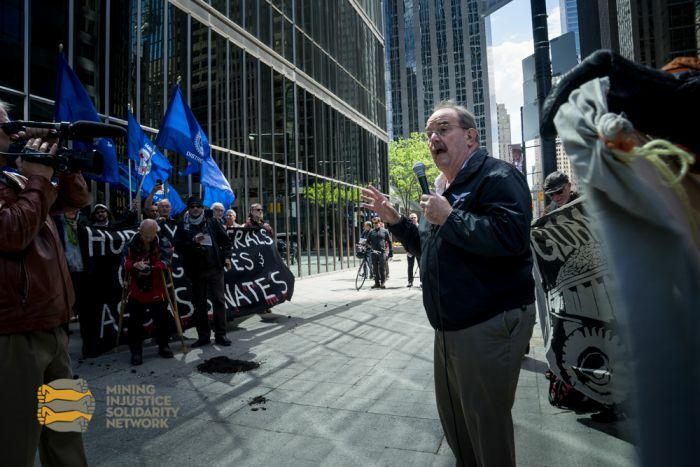 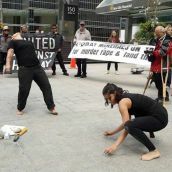 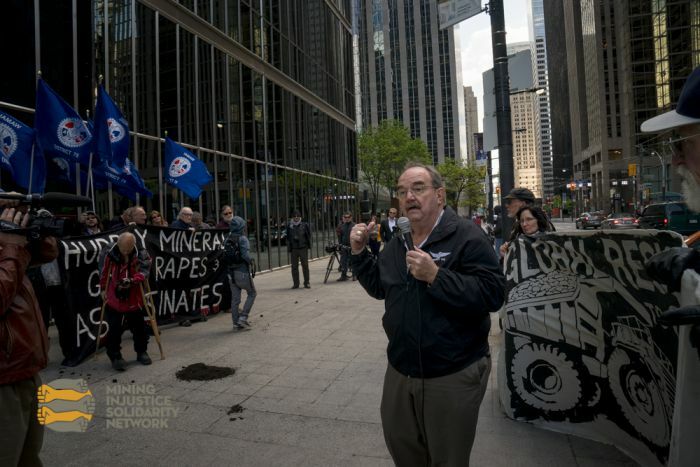 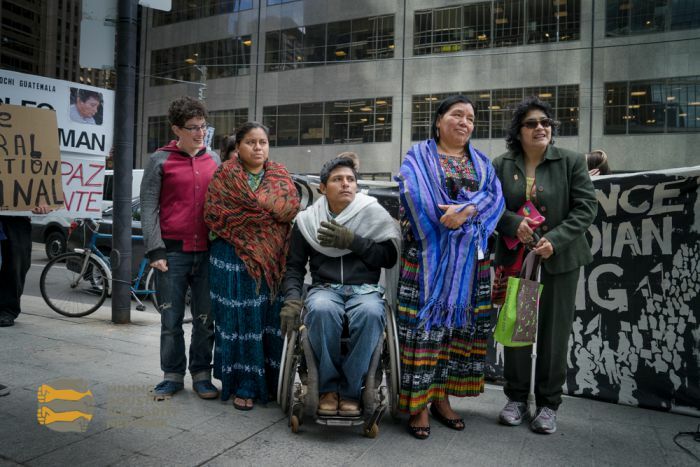 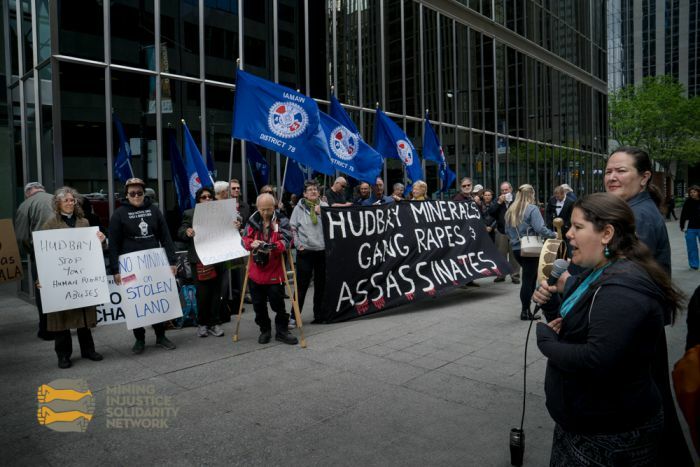 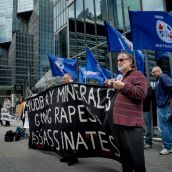 Huron-Wendat, Anishinaabe, Haudenosaunee territory (Toronto, Canada) – On May 22, 2015 the Mining Injustice Solidarity Network and Rights Action joined with over 60 protesters in Toronto’s Financial District to confront Hudbay Minerals’ executives and shareholders both within and outside of the companies annual shareholder meeting. 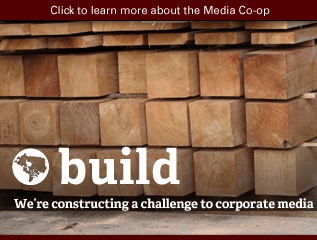 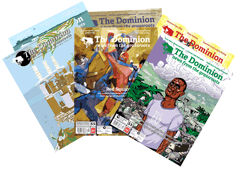 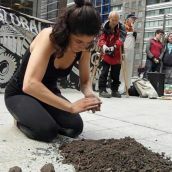 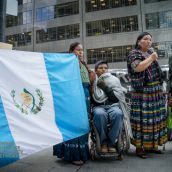 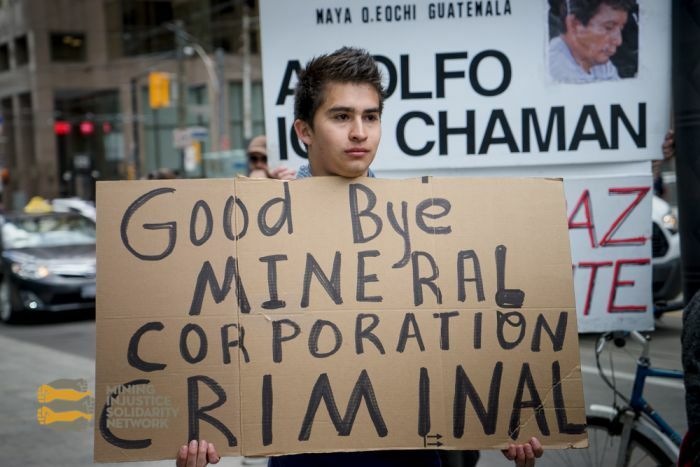 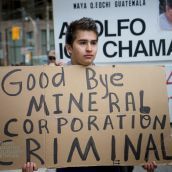 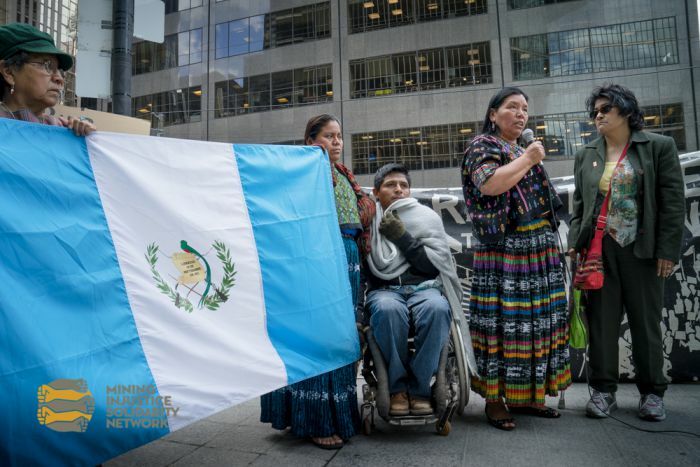 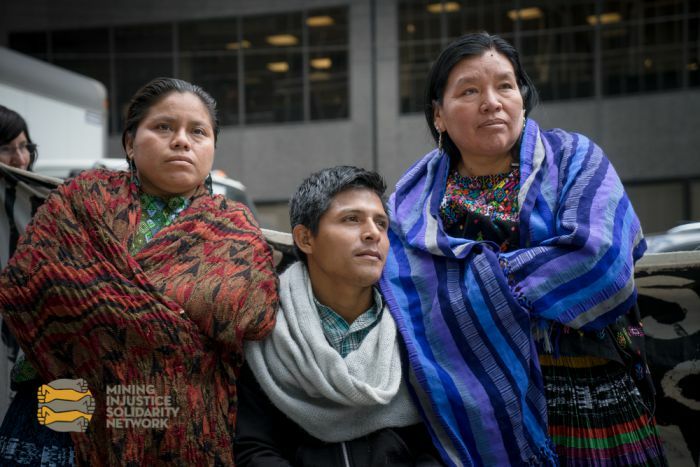 The protest was called in solidarity with communities from across the Americas impacted by violence, land theft, and environmental harm at the hands of this Canadian company. 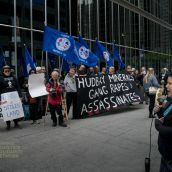 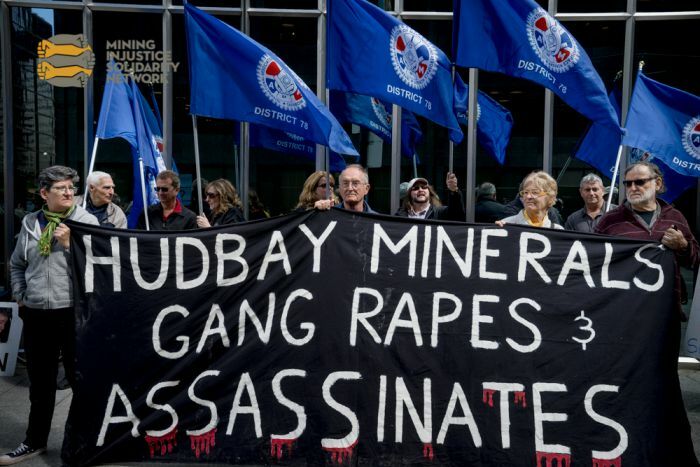 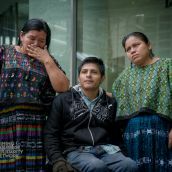 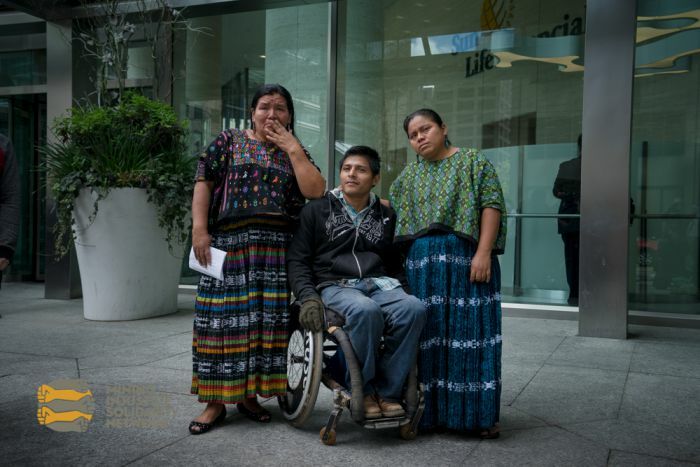 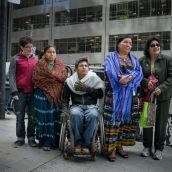 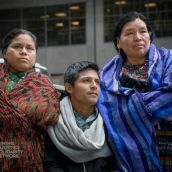 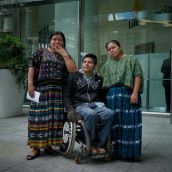 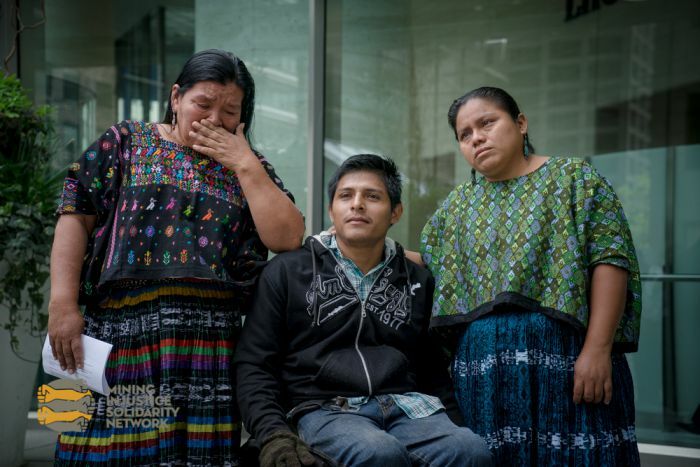 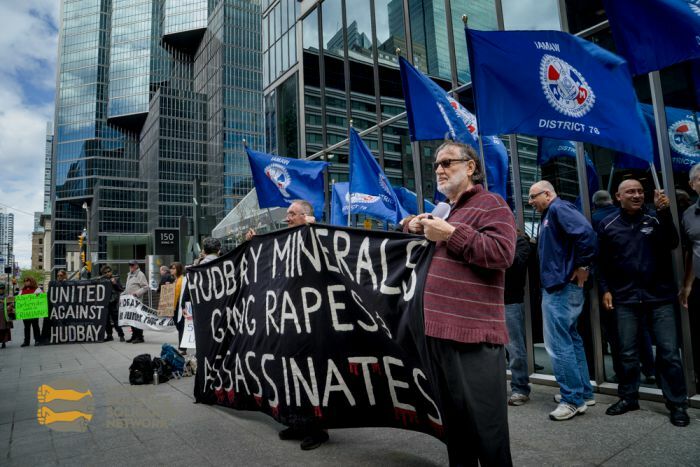 Inside Hudbay's shareholder meeting, Angelica spoke on behalf of the three, stating: "Hudbay has done nothing to accept responsibility for what happened at and near its mine, nor to make amends for the harms suffered by my family, by Rosa and the other women, by German and his family. 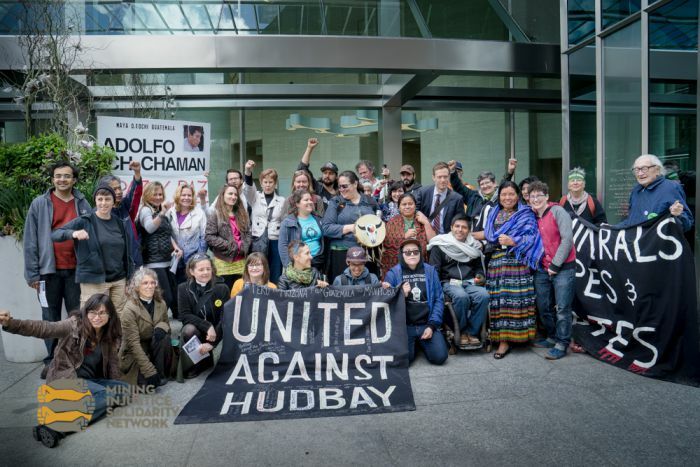 Instead, Hudbay hides behind its lawyers and propaganda statements. 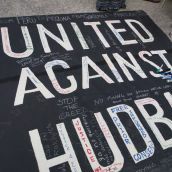 Hudbay has said Rosa is lying about being raped. 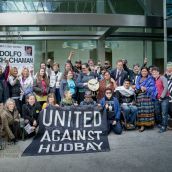 Hudbay has said that German “fabricated” a story about how he was shot. 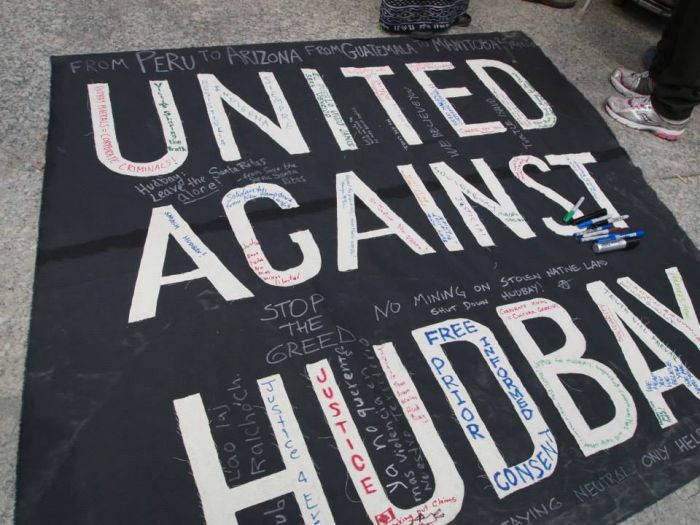 Hudbay says I threatened witnesses to force them to provide false testimony. 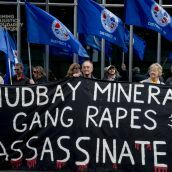 These false accusations against us make me sad and angry. 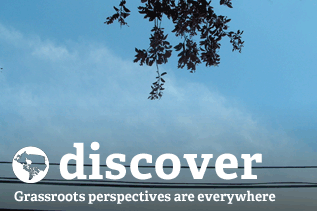 We are here in person to tell you our truth as we lived it." 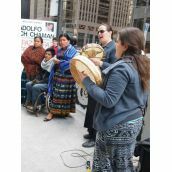 The protest outside the shareholder meeting was MC’ed by Krysta Williams of the Native Youth Sexual Health Network, and opened and closed with drumming and songs by Shandra Spears Bombay. 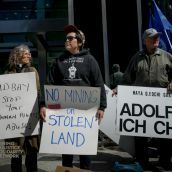 David Ritchie, the VP of the International Association of Machinists and Aerospace Workers (IAM), currently on strike at Hudbay’s Flin Flon Snow Lake mine, addressed the gathered crowd. 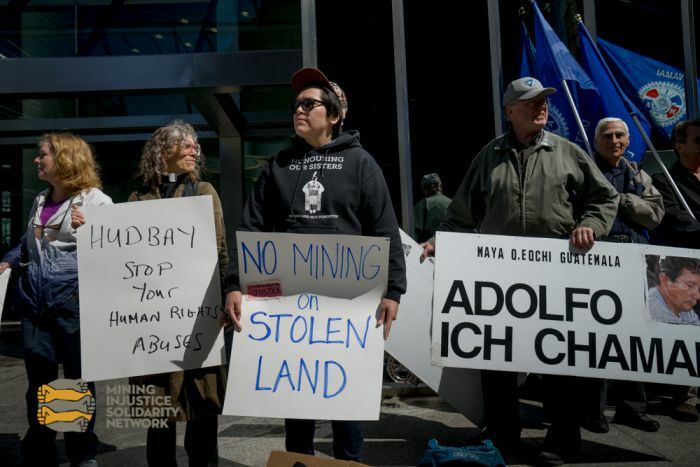 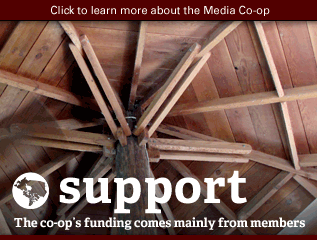 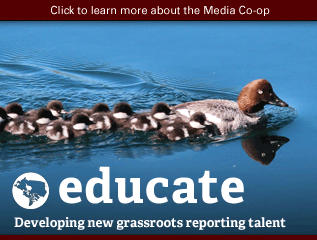 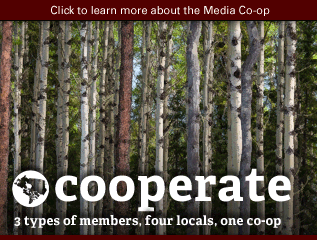 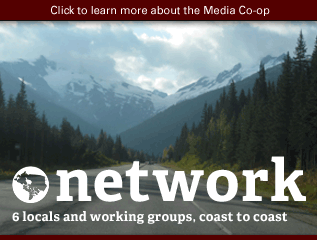 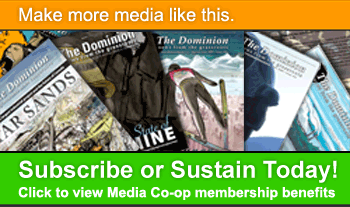 Statements were also shared from communities located at 100% of Hudbay’s mines across the Americas, including the Mathias Colomb Cree Nation in northern Manitoba, the Ayllu in Uchuccarco, Peru, and the movement against Hudbay's Rosemont mine, in Arizona. 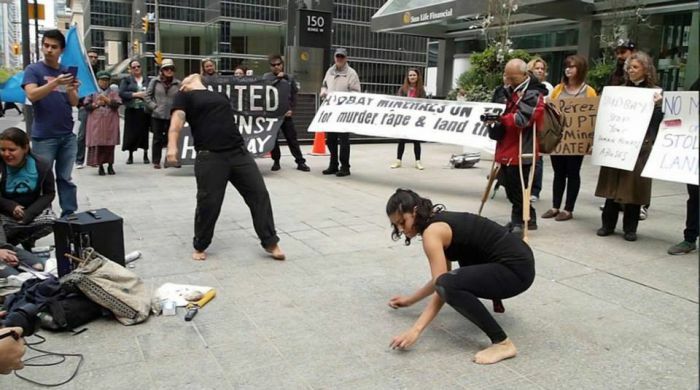 A powerful bodywork piece was also performed by artists Rehana Tejpar and Naty Tremblay.